It's official! Doctor Strange is shooting. 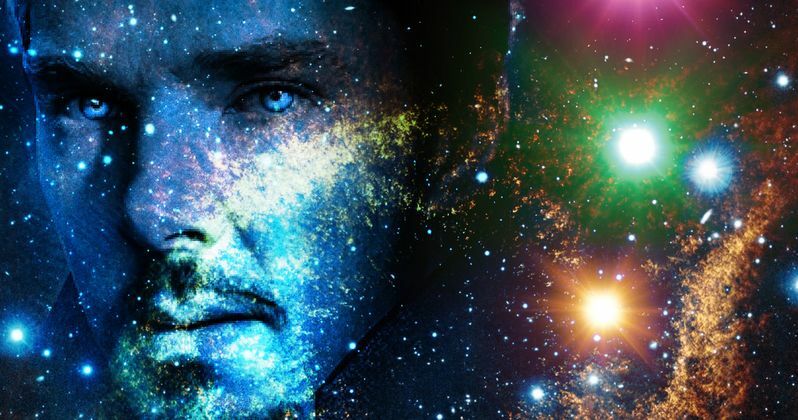 Marvel Studios announced today that production has begun on Doctor Strange starring Benedict Cumberbatch, Chiwetel Ejiofor, Rachel McAdams and Michael Stuhlbarg with Mads Mikkelsen and Academy Award winner Tilda Swinton. The film, which opens in U.S. theaters on November 4, 2016, is directed by Scott Derrickson best known for his franchise thriller Sinister. The film will be shot in several locations around the world, including London, New York, Hong Kong and Kathmandu, Nepal. Marvel's Doctor Strange is produced by Kevin Feige with Louis D'Esposito, Victoria Alonso, Charles Newirth, Stephen Broussard and Stan Lee serving as executive producers. Director Scott Derrickson's creative team also includes director of photography Ben Davis, B.S.C. ; production designer Charles Wood; costume designer Alexandra Byrne; editors Wyatt Smith and Sabrina Plisco, ACE; and visuals effects supervisor Stephane Ceretti (Marvel's "Guardians of the Galaxy"). Based on the Marvel comic character who first appeared in "Strange Tales" Issue 110 published in July 1963, Marvel's Doctor Strange continues the lineage of epic big-screen adventures chronicled in Marvel's Iron Man, The Incredible Hulk, Iron Man 2, Thor, Captain America: The First Avenger, Marvel's The Avengers, Iron Man 3, Thor: The Dark World, Captain America: The Winter Soldier, Guardians of the Galaxy, Avengers: Age of Ultron, Ant-Man and the upcoming Captain America: Civil War (May 6, 2016), Guardians of the Galaxy Vol. 2 (May 5, 2017) and Thor: Ragnarok (November 3, 2017). Marvel Studios continued its unprecedented success this year with the May 1st release of Avengers: Age of Ultron, which recorded the second biggest opening weekend of all time with a $191.3 million box office. It has also been the #1 release in every country where it has opened and has grossed over $1.4 billion in global box office. On July 17, Marvel released Ant-Man which has grossed to date over $518 million worldwide. In 2014 Marvel Studios released Captain America: The Winter Soldier and Guardians of the Galaxy the top-grossing domestic film of 2014 with $333.2 million and $772.8 million worldwide. Captain America: The Winter Soldier, which broke the opening record for an April release by earning $95 million in its first weekend, went on to gross more than $711 million worldwide. In 2013 Marvel produced the megahits Thor: The Dark World and Iron Man 3. The two films have earned over $644 million and $1.2 billion worldwide, respectively, since their openings. In 2012 Marvel's critically acclaimed Marvel's The Avengers set an all-time, domestic three-day weekend box-office record at $207.4 million. The film went on to gross over $1.5 billion worldwide, becoming Disney's highest-grossing global and domestic release of all time.